"Play the classic computer game free cell on your PC!" In the mood for some classic computer games? Card games? FreeCell may be for you. 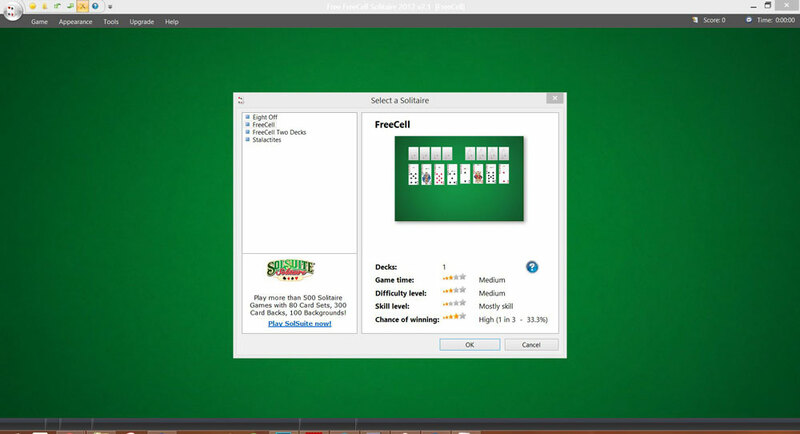 FreeCell is a classic card game, a version of which used to come standard on several versions of Windows and has since been removed. The game is played with a standard 52-card deck. It is a lot easier to play than most solitaire games. In fact, there are very few hands that are unsolvable. 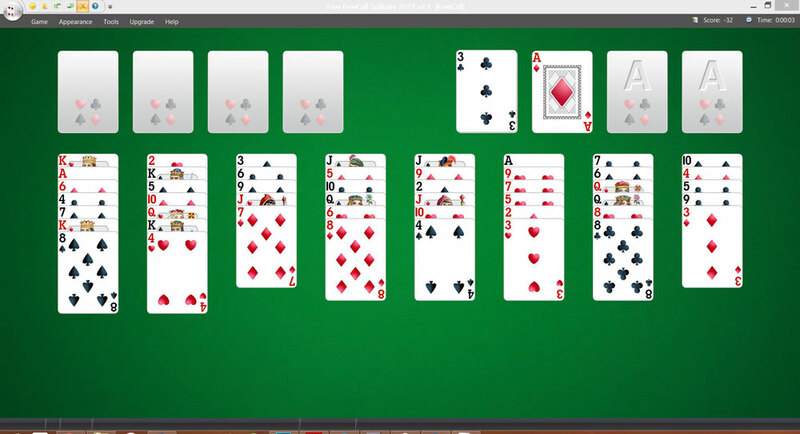 Former versions of the classic FreeCell game look just that, classic. They tend to appear washed out with highly pixelated cards and low quality graphics overall. This version of the classic game of FreeCell is hardly classic at all. The game board itself is outright gorgeous. It resembles a bright, rich casino board with a smooth vignette that brings attention to the bright, white interactive cards. The cards themselves feature smooth shapes and highly detailed images. The Jack, Queen, and King cards look sophisticated and complex. Although the game itself already includes stunning visuals by default, if you do not like them, you can change them. You can change the background of your game board to one of the backgrounds included in the application, or choose from a list of solid colors. You can also change the color of the ribbon in the application so that it matches your selected background. You can also change the animation speed of the cards and the animation type from more elaborate to less elaborate, if you like.